Not bogged down by the demonetisation, as many as four regional films (including a Telugu dubbed) and a Bollywood star hero's film have tested their luck at the BO this week. Moviegoers and critics had field days on Friday, Saturday. 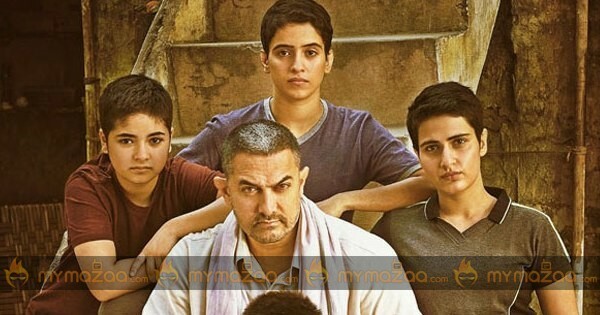 Amidst a spate of releases, Aamir Khan's Dangal topped the chart, RGV's Vangaveeti follows.DangalAamir Khan's Dangal is one of the most happening films. Extremely rave reviews all over making the film among the top in Telugu states. But this is limited mostly to Hyderabad a handful of multiplexes in Vizag, Vijayawada.Since the film is released without English subtitles, Dangal may not have a grand-slam run. But certainly it's going to have its affect.VangaveetiAfter a longtime, Ram Gopal Varma's film Vangaveeti has got good pre-release buzz, thanks to his Shiva to Vangaveeti event. The film has got some decent openings in few areas, Krishna, East Godavari and West Godavari districts, but failed to attract audience in Telangana.Opening in US was good on Day 1, given that the film managed to gain a curiosity. But this may not continue further at the Overseas.Saptagiri ExpressSaptagiri's debut as hero might have had got good craze after audio launch. But it didn't last long. Due to postponement, the film lost its buzz. People weren't convinced to see him as the protagonist. Newcomer director couldn't meet the expectations on the film. OkkadochaduVishal's Okkadochadu will go down the drain as one of the bad release in the actor's career. Lack of publicity, poor talk have a telling effect on the collections too. Usually, Vishal has got certain fan base in masses. Even Pooja saw good numbers in Telugu states.PittagodaThe film opened to lukewarm response. New cast, poor promotions said to have affected the film's collections. With critics too not so impressed with the film, this may not have a bright run at the ticket windows.Suresh Babu, who was planning to repeat the magic of Pelli Choopulu with 'Uyyala Jampala' producer Ram Mohan, fails to yield the result.Bottom-line: On the whole, it's just a day. One has to wait and see what's in store for these releases.